Occasionally small hacks come about for non-Jailbroken devices that allow you to apply generally only Jailbroken functionality such as hiding certain applications or making custom toggles. Generally these hacks become patched by Apple in future firmware updates, but they are still worth taking advantage of while they are live. 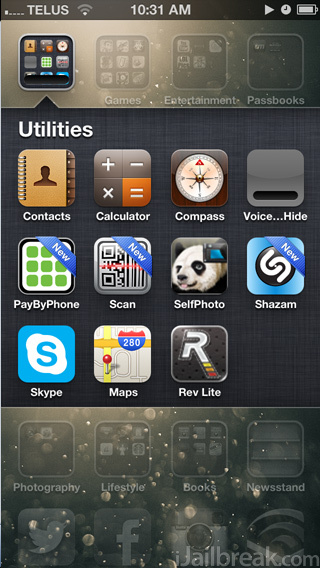 AppAdvice has stumbled upon a new hack today that allows you to hide stock iOS apps on non-Jailbroken devices. I have successfully gotten it to work on my iPhone 5, and thus in this tutorial you will learn how to do just this. Note: Keep in mind that the applications you hide using this method will re-appear if your device loses power or needs to reboot. Additionally, if you attempt to hide the App Store app you will not be able to continue hiding additional apps. As such, if for some reason you are going to hide the App Store app, do it last. Step 1) – The first thing you will need to do is visit the website shown below on your iOS device. Step 2) – Next scroll down until you find the application you want to hide. When you find this application tap on it. Step 3) – When you do this a dialog window will appear, tap the Install button. 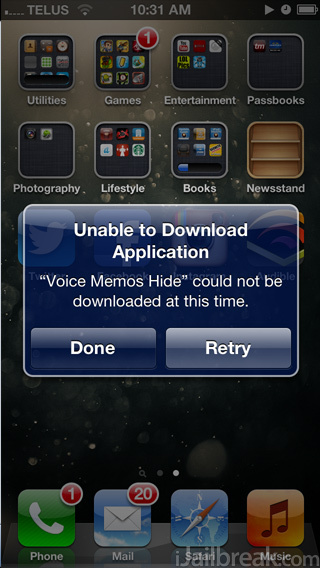 Upon pressing the Install button you will get a message stating “Unable to Download Application.” Fear not! This is completely normal, and you will simply need to tap the Done button. 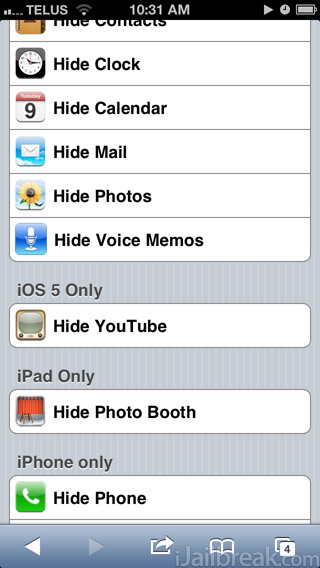 Step 4) – You should now notice the application you are wanting to hide has turned grey. Simply tap and hold the icon to enter “Jiggle Mode” and then tap on the X button in the top left hand corner of the app to remove it. As mentioned previously this process can indeed be reverted by simply rebooting your device. Pretty cool trick huh? Please leave any further questions or thoughts in the comments section below.